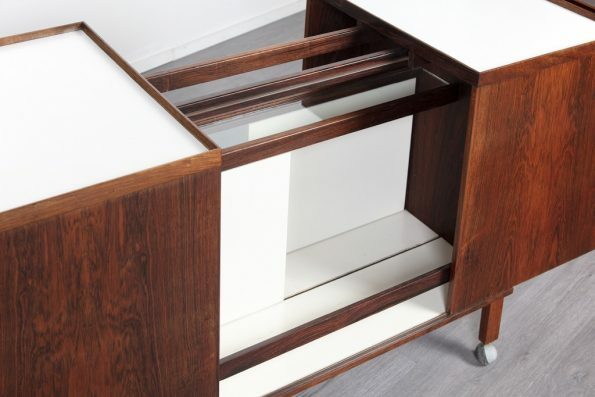 Rare Danish 1960’s Designer Bar Cart in Brazilian Rosewood. Designed by Niels Erik Glasdam Jensen, Produced by Vantige Mobelindustri. White Formica Top, Superior Hand French Polish Finish.